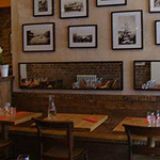 La Patagonia is a vibrant Argentinean restaurant on Camden High Street. Expect a varied choice of authentic dishes such as steaks, pasta and milanesa. Do you work at La Patagonia? What did you think of La Patagonia? Our party of 5 visited midweek, we were extremely disappointed! The service was slow with only one person taking food and drink orders, and the same person bringing the food to our table. There was one other person clearing the tables. Although both were very polite, it was clear more staff were needed. The menu was very hard to decipher and the food was poor. One of our side dishes were stone cold, this was due to the food sitting on the counter for ages before it was brought to our table, hence the need for more staff. The London Review states, you are served complimentary bread with dip upon arrival - we never got this! It was a lot of money for food that wasn’t great. We will not be going back. Decent food, terrrible terrible service. Owner was rude to a few people while I was there, not paying attention to customers and being generally arrogant. Portions are fairly small (the reason why prices are not as high as other restaurants) and the selection of alcoholic drinks is not the best. Give it a miss. I never go to Argentine restaurants in London as they are usually too expensive and for my taste, not that great. My parents are from Argentina so I hae often been to Buenos Aires, I know the real thing. But I have to admit that La Patagonia surprised me, it is unpretentious, very reasonably priced compared to other Argentine restaurants , it has great asado and sweetbreads, the home made pasta is delicious and the dulce de leche pancake not to be missed. I enjoyed the tango music and for a moment I forgot I was in Camden, it could have been BA! Well done La Patagonia, I hope to go again soon! Food is okay; menu doesn't really tell you what each thing is though. Prices are astronomical, and staff are pretty rude. 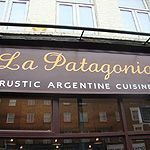 I was very excited to eat at La Patagonia last Friday, I am half Argentinian and it is hard to find authentic food in London. Especially at a reasonable price. I was not disappointed - The Deserts at La Patagonia are amazing - we ordered one pancake with Dulce de leche to share but after one bite - we ordered another! I had a 'Ojo de bife al horno'(steak) which was cooked perfectly and very reasonably priced at £16 compared to some other London restaurants. Another authentic Argentian dish is the sweetbreads - I have never had good ones outside of Argentina until now - really worth a try if you haven't already. My partner had the gnocchi and all I can say again, is that I have never had such good ones outside of Argentina before - the ones from the supermarket are nothing compared to these. I think they handmake the pasta and Gnocchi onsite. I will most certainly be coming back to La Patagonia and bringing my parents when they visit! 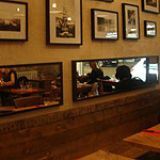 Slotted neatly amongst a host of multi-national eateries near Camden’s Chalk Farm station, La Patagonia is an Argentinian restaurant that serves a broad range of traditional dishes at reasonable prices. Being fairly compact, La Patagonia’s layout is somewhat crowded, meaning that this is not the ideal venue for those seeking privacy. It's also advisable for larger groups to book in advance to ensure adequate table space. Such qualms aside, the interior of the restaurant proves tasteful and attractive – featuring exposed brick walls displaying framed black and white photographs of the Argentinian landscape, together with that now-requisite addition of open kitchen at the back. The venue provides a warm, friendly environment, and staff are jovial and attentive, despite the occasional language barrier. Music is unobtrusive and largely of the classical genre, affording the place a touch of class, without verging on the pretentious. 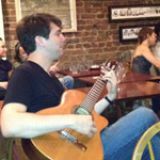 La Patagonia offers a varied menu ranging from simple pasta and chicken Milanese based dishes to the signature Argentinian red meats cooked either on an expansive charcoal grill or in the venue’s clay oven. Complimentary bread is served upon arrival, to be dipped in a delicious ‘preserva’ of chopped aubergine in olive oil and balsamic vinegar. An unusual starter of ‘chicken matambre’ (£4.50) – breast stuffed with garlic, carrot and provolone cheese – works surprisingly well, served in an appropriate portion-size, with clean, succulent meat playing host to a pleasantly creamy yet light filling. ‘chorizo a la pomarola’ (£3.50) consists of a hearty serving of sausage that possesses a mealy texture and subtle flavour distinct from the tangy, cured taste familiar to its European counterpart. ‘Empanadas’ (£2 each) are thick, crispy pastries available with a range of beautifully prepared fillings - the ‘traditional beef’ version a blend of juicy, rich mince and sun-dried peppers. A main of beef skirt steak, or ‘entrena’, (£11) is an impressive hunk of meat cooked correctly to order, with little seasoning required to enhance its flavour. Its accompanying ‘torta frita’ (simply, ‘fried pastry’) seems a tad unnecessary. ‘ojo de bife al horno’ (£16) – a succulent rib eye steak - serves as further proof that Argentina is a fierce contender for offering the best beef around, and comes basted in ‘chimichurri’ sauce – that dark, heavily reduced concoction of herbs, garlic and heavy dose of pepper. Amongst the side dishes are a ‘rescoldo of vegetables’ (£3) – a mixture of baked sweet potatoes, red onion and butternut squash - that is as warm and hearty as it is fresh and free of cloying oiliness. Dessert fans dining a La Patagonia won’t be disappointed. A ‘Patagonian tiramisu’ (£4) – served in a jam jar – is a decadent treat, with its thick layer of fresh whipped cream giving way to a rich dulce de leche and melted chocolate base. ‘Copa don Pedro’ (also £4), a whipped vanilla ice cream with nuts and whiskey, is also indulgently satisfying, even if it does lack in any attempt at complexity. The drinks list is succinct – offering the usual soft drinks and coffees, along with the Argentinian produced ‘Quilmes’ beer (£3). All of the wines here are Argentinian (the majority from the Mendoza region), and, in acknowledgement of their vaster level of production, the reds outnumber the whites. A house bottle of ‘Finca La Colonia’ Malbec (£15) is perfectly adequate though nothing special, whilst at the higher end of the price range, a ‘Bodega Norton Reserva’ Cabernet Sauvignon (£27) does the nation proud – bringing robust, ripe fruit flavours that complement the heavy meat dishes perfectly. Overall, this is an extremely promising restaurant with an obvious passion fuelling its progress. 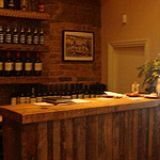 Prices are highly reasonable given the quality of the fare on offer, and, with its extensive range of dishes, La Patagonia provides an opportunity for almost anyone to experience a pleasant introduction to Argentinian cuisine.